Bending Radiation Around Future Starships And Space Colonies? As many of you already know space radiation is a huge problem. Aside from the fact that it can melt your brains faster than a mini-series upon Hulu, space radiation (whether from stars, black holes or planets) can limit the number of terrestrial worlds we can settle within our solar system. While artificial magnetic shields could enable humanity to set foot upon the spheres that orbit Sol Star, it might be wiser to bend radiation around our future homes and ships instead. 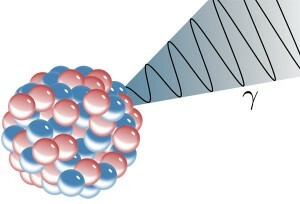 Theory says that gamma rays, being even more energetic than x-rays, ought to bypass orbiting electrons altogether; materials should not bend them at all and the refractive index for gamma rays should be almost equal to one. Yet this is not what a team of physicists led by Dietrich Habs at the Ludwig Maximilian University of Munich in Germany and Michael Jentschel at the Institut Laue-Langevin (ILL) in Grenoble, France, has discovered. Even though developing, perfecting and applying the technology upon a future outpost is probably over half a century away at best, finding a way to bend deadly radiation around a future space settlement could enable colonists to live upon the surface of “moderately” radioactive worlds like (Luna, Mars and Ganymede) instead of underground. It could also enable starships to travel throughout our Sol System without fear of encountering a deadly solar storm or random radiation via a black hole. Although future space settlers in the near term will probably adopt heavy shielding and magnetic shields as their new best friends, bending radiation around settlements, starships and (one day in the distant future) space suits could allow us to visit deadly worlds such as Europa in person (instead of via our robotic friends). Forget mapquesting Ganymede! It looks like Europe will spend a billion euro’s in order to launch JUICE (which stands for JUpiter ICy moon Explorer) find out more about Jupiter’s lunar children two decades from now (2030 for those who want to know). ESA plans to pack the solar-powered spacecraft with a suite of instruments, which will collect high-resolution pictures as well as data on the moons’ chemical compositions, magnetic environments, and surface features. During its roughly three-year mission, JUICE will perform two flybys of Europa, examining that moon’s icy crust in search of sites for future exploration, perhaps by a lander. Then, after a dozen flybys of Callisto, the spacecraft will slip into orbit around Ganymede in 2032 and will study Jupiter’s largest moon for nearly a year. JUICE will also observer the relationship Jupiter has with the three Jovian moons (Callisto, Europa and Ganymede) as well as analyze each world for subterranean oceans. Unfortunately humanity will be unable to visit Europa due to Jupiter’s radiation belts, although JUICE could help us identify potential spots to establish outposts upon Callisto as well as Ganymede (the latter which could be used as the bread basket of the Jovian system thanks in part to it’s magnetic field). While JUICE’s purpose is to help us discover alien life upon other worlds, it’s launch and Jovian encounter could help prepare our species for spreading terrestrial life upon Jupiter’s outer Galilean moons. Even though having a mini-nuclear reactor nearby is not a bad idea, settlers upon Mars may prefer an option that relies less upon the splitting of the atom and more upon the rays of the Sun. Scientists in Spain have figured out a way for solar power stations to generate energy after sun set when rays from the Sol star are no where to be found. 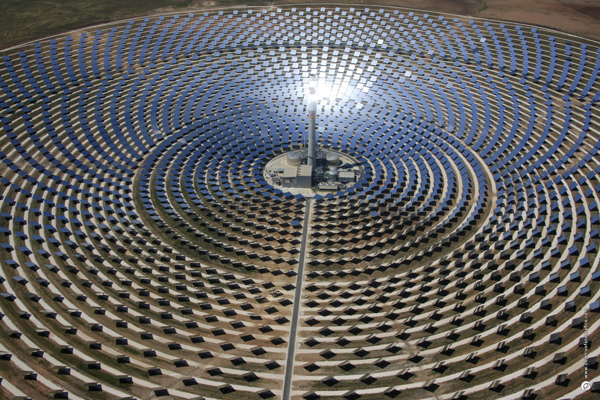 Gemasolar, the concentrated solar power plant located in Fuentes de Andalucía (Seville), a property of Torresol Energy (a joint venture between Masdar – Abu Dhabi’s future energy and clean technology company and SENER – the leading Spanish engineering and construction company) has supplied its first uninterrupted day of electricity to the network. The salt storage system allows the plant to stretch its electrical production hours to beyond sunset, regardless of the cloud cover. Thus, Gemasolar, with its 19.9 MW steam turbine, is able to supply electricity to a population of 25,000 households. Although Martian settlers will probably need a mini-nuclear plant as a backup energy source (as Martian hurricanes have a habit of blocking out the Sun worldwide), relying upon a solar-thermal hybrid could enable colonies to thrive upon Mars without having to rely upon infrequent shipments of nuclear plants from Earth. This technology would also benefit asteroid colonies as well, as it would enable settlements within the inner solar system to become less dependent upon Earth (or even Mars) for resources. Note: Since sunlight intensity tapers off beyond Mars, solar power (of any kind) would be useless for out posts established upon Jupiter’s mega moons (Callisto and Ganymede), who would need to rely upon nuclear energy to avoid freezing to death. Will Humanity Mine The Moon For Titanium? Apparently silver isn’t the only thing Earth’s nearest neighbor harbors upon the surface. Astronomers have discovered another element which could aid lunar settlers in their quest to conquer the Moon. 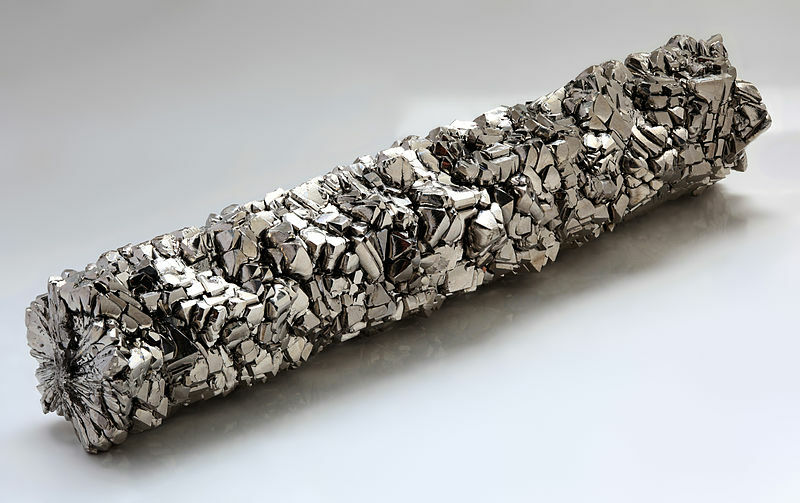 “Lunar titanium is mostly found in the mineral ilmenite, a compound containing iron, titanium and oxygen,” they said. Aside from the obvious uses of titanium (i.e. planes, rockets, buildings, etc. ), the strong light weight element is also the metal of choice for surgical implants (as titanium is able to remain harmlessly within the human body for decades). Although titanium alone will not convince humanity for the need to settle the Moon, it’s presence (along with the discovery of water and the ability to extract oxygen from lunar soil) will probably add to the case of inhabiting Luna first before our species decides to conquer more ambitious objects (like Mars and Callisto). 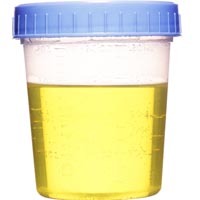 Could Urine Power Off World Colonies? Since water is plentiful throughout the solar system (well at least upon Luna as well as Mars), future settlers may see little value in recycling their “waste water,” when it would be much more desirable to purify the frozen aqua around them. Instead of burying the dreaded stuff or burning it off into the void, future colonists could instead use it to help keep the lights burning bright upon dark, frozen worlds. [S]cientists have begun to crack the code of how bacteria that live without the aid of oxygen convert ammonium — a key chemical in urine — into hydrazine, which is a type of rocket fuel. “It is a complex of three proteins” that do the trick, Mike Jetten, a microbiologist at Radboud University Nijmegen in the Netherlands, explained to me in an email today. Thanks to a greater understanding of how hydrazine works, scientists like Jetten are confident that they will be able to generate a significant amount of fuel, which they envision will be useful as rocket fuel. Although producing enough hydrazine from urine to satisfy future rocket demand may prove difficult, scientists might be able to produce enough to power a few small settlements or even a decent sized rover. While residents upon terrestrial worlds may laugh at the idea of powering their homes via recycled pee, it could enable asteroid colonies to survive upon dry rocks without having to rely entirely upon solar power or a mini-nuclear reactors. Despite being one of the three terrestrial spheres blessed with a global magnetic field (with the other two being Earth and Jupiter’s moon Ganymede), Mercury’s invisible shield will not protect future explorers from the wrath of the Sun. Earth and Mercury are the only two magnetized planets in the solar system, and as such, they can somewhat deflect the solar wind around them. The solar wind is a squall of hot plasma, or charged particles, continuously emanating from the sun. Earth, which has a relatively strong magnetosphere, can shield itself from most of the solar wind. 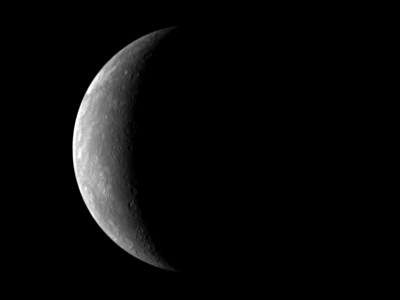 Mercury, which has a comparatively weak magnetosphere and is 2/3 closer to the sun, is a different story. Although Mercury could prove its worth in the future, for now it looks like residents living upon the first “rock” from the Sun, will have to avoid contact with the fiery rays during the Mercurian day, and venture above ground at night. Unless humanity uses Mercury as a penal colony, the planet will probably be home to mining corporations seeking to strip the world of precious metal and minerals which are needed upon other worlds (such as Earth, Luna and Mars). Experience Martian Gravity Without Leaving Earth? 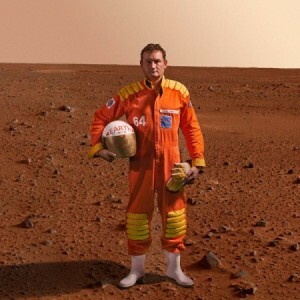 For those of you who are Mars-bound, Adam Norton has developed a clever way of simulating reduced gravity without having to visit the red planet. As you can see from the video above, this is actually an ingenious way to train future explorers intent upon settling Mars on how to “trot” upon the crimson world’s surface. Norton’s adapted design is inexpensive enough (at least relatively speaking) to be adapted by the public as well as the private sector, not to mention private citizens seeking to envision themselves living off world. Note: Since Martian gravity is almost 2/5 Earth norm, future residents could probably forsake wearing gravity suits (unless they plan on making a return trip to Earth in near future).